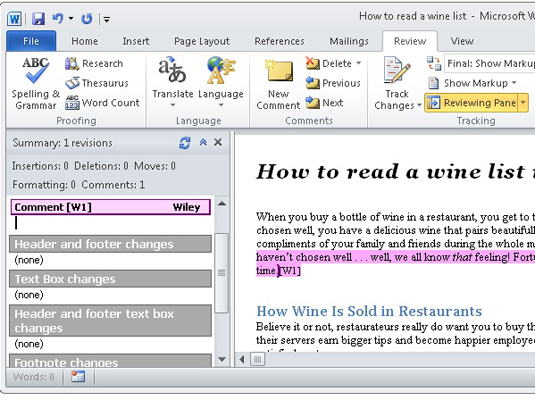 You can use Word 2010’s comment feature to add notes within a Word document. 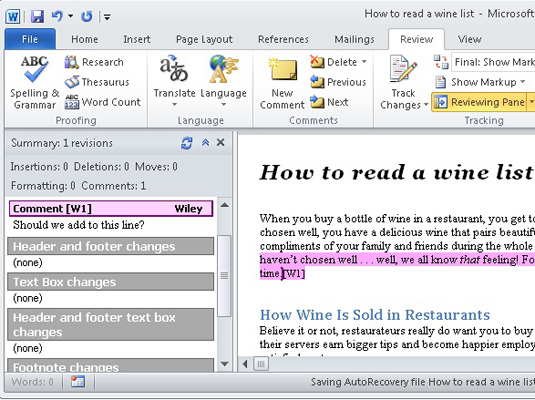 To shove a comment into your document, you need to follow a few easy steps. 1Select the chunk of text you want to comment on. Be specific. Although you may be tempted to select the entire document, just the first few words of a longer chunk are all that’s necessary. 2On the Review tab, click the New Comment button in the Comments group. 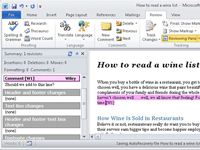 Immediately, the document shrinks a tad to make room for the markup area, which appears on the right side of the page. Your selected text is hugged by red parentheses and highlighted in pink. Off to the right, in the markup area, appears a comment bubble, inside of which is the comment number and your initials. The bubble expands to contain all your comment text. Comments can be endless, although short and to the point is best. 4Click the mouse back in your text or press the Esc key to stop typing the comment. The comments and the markup area stay visible until you hide them. In Draft view, comments appear highlighted and numbered in the text; to see comments, however, you must show the Reviewing pane. 5Click the Reviewing Pane button to see the comments. Click the button again to hide them. The initials you see next to a comment are supposed to be your initials, which you entered when Word was first configured. 6To change the initials that appear with your comments, choose Options from the File tab’s Button menu. 7Choose the General category on the left side of the window (if necessary). 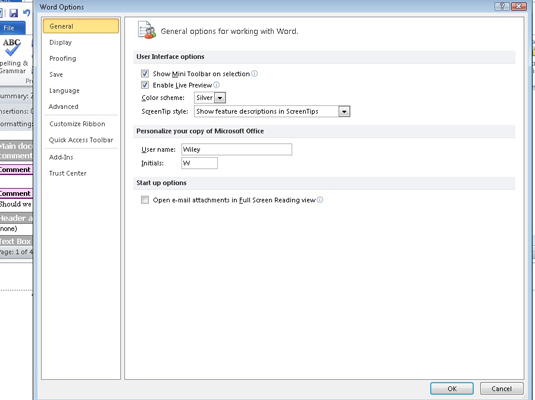 The dialog box may open with this category displayed. 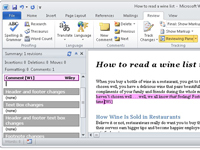 8Enter your username and initials in the Personalize Your Copy of Microsoft Office area, then click OK.
Now your comments appear marked with the initials you just entered.